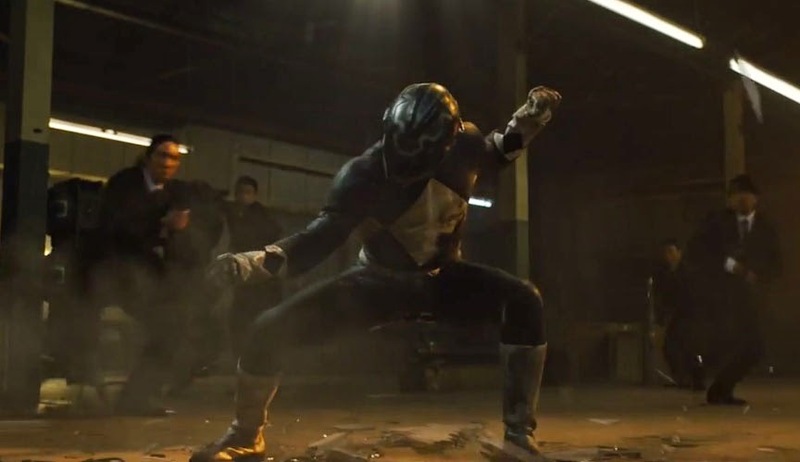 The Mighty Morphin' Power Rangers are getting the big screen treatment from Lionsgate next year, and while we know nothing about it at this stage, we can be sure it will be nothing like this dark, gritty, and frankly amazing short film from director Joesph Khan (Dentention, Torque) and producer Adi Shankar (Dredd). Starring James Van Der Beek and Battlestar Galactica's Katee Sackoff, Power/Rangers is the next in the "Bootleg Films" series, which includes The Punisher: Dirty Laundry, where Thomas Jane put on the skull t-shirt again, and the unofficial animated Dredd spin-off, Superfiend. A pretty grim take on the beloved kids t.v.show, the short was born from Shankar's realistation (as he explains in an accompanying video, that has to be seen for Shankar ripping into Orlando Bloom alone) that the Power Rangers were basically child soldiers who were bound to end up with Post Traumatic Stress Disorder in their adult lives. It's a pretty f-ed up concept for such a kid friendly show, so be sure to check out the short, as you know full well Lionsgate will not be taking this approach with the property.